CYPRESS, Calif. – (April 8, 2019) – The new Christie DS Series is a trio of powerful 3LCD laser projectors with ISO lumens ranging from 7500 to 9000 and a five-year, 15,000 hour warranty – whichever comes first. The Christie LWU755-DS, LHD878-DS, and the LWU900-DS projectors feature 4,000,000:1 contrast ratio and are lighter and quieter than nearly all their competitors. The DS Series features 360-degree orientation for flexible installation, comprehensive input/output options including HDBaseT, low maintenance and up to 50,000 hours of operation, making it ideal for higher education, business, and mid-sized meeting spaces. Needing only one motor, brighter, smaller, and more energy efficient than the competition, the LWU900-DS/LHD878-DS projectors are the class leaders for affordable, mid-brightness 3LCD laser projectors. Delivering 9000/8,775 lumens and a 4,000,000:1 contrast ratio in stunning WUXGA/HD resolution, these two projectors are ideal for medium-to-large spaces or high-ambient light environments where higher brightness is required. Proving you don’t need to sacrifice performance for price, the Christie LWU900-DS and LHD878-DS accept 4K at 60Hz signals, have built-in edge blending and warping, and feature a low-power mode for up to 50,000 hours of operation. Small, light, and featuring omnidirectional capabilities, these projectors are easy to install in tight spaces and blend into any environment. “The patented optical engine in the Christie DS Series is more efficient than its competition because of the compact laser diode block. This design changes the excitation light spot shape from a round spot to a rectangular shape and disperses the energy on the phosphor wheel, which improves the reliability of the phosphor wheel,” said Brad Martin, product manager, Christie. 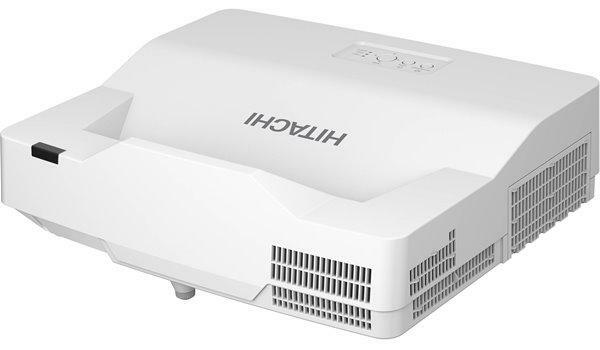 Brighter, smaller and more energy efficient than the competition in this class of projector, the Christie LWU755-DS is an affordable, mid-brightness 3LCD laser projector designed for small-to-medium applications. Delivering 7,550 lumens and 4,000,000:1 contrast ratio in stunning WUXGA resolution, this projector displays a variety of content types in precise detail. Designed for easy operation, the LWU755-DS includes built-in edge blending and warping, and advanced color management. Small, light, available in black or white, and featuring omnidirectional capabilities, the Christie LWU755-DS projector is easy to install in tight spaces and blends into any environment. All three models provide easy integration with control systems such as AMX and Crestron, and are equipped with LiveViewer so users can share audio and video content directly from their computer or laptop to the projector via the LAN or wirelessly (optional USB dongle required). The HDMI Loop-Through allows HDMI input signals – up to 4K at 60Hz – to be passed on to other DS Series projectors without a distribution amp/splitter. “The Christie DS Series delivers a sleek and versatile line-up of mid-brightness 3LCD laser projectors at an unbeatable value. With the option of HD or WUXGA resolutions, the choice of seven lenses, and brightness levels up to 9000 lumens, the DS Series is perfect for applications requiring a little extra visual punch without blowing the budget. The combination of great affordability, better brightness, a truly superior warranty and a rich feature set, is a total cost of ownership innovation for the market,” Martin concluded. Christie Digital Systems USA, Inc. is a global visual and audio technologies company and is a wholly-owned subsidiary of Ushio, Inc., Japan, (JP:6925). Consistently setting the standards by being the first to market some of the world’s most advanced projectors and complete system displays, Christie is recognized as one of the most innovative visual technology companies in the world. From retail displays to Hollywood, mission critical command centers to classrooms and training simulators, Christie display solutions and projectors capture the attention of audiences around the world with dynamic and stunning images. Visit Christie.